“The Whale in the Cave” by Mike Avitabile is a satirical look at society and individuals who seem to take advantage of others, or individuals who wander through life not taking responsibility for their life or who are not productive citizens. It also addresses the theme of existentialism, which is where people are free agents who have control of their choices and actions. Luke Balena is a 26 year-old who finds that he is such an individual who does his own thing, regardless of expectations from society as what his role should be. He is a stoner who can’t hold a steady job and struggles to get through each day without using. Luke is content on not having to make any decisions or think about anything. Let others do the work and let him reap the benefits. Wolf, an actor, believes that the world is inside-out and therefore no one knows what is going on or why. Luke, who is lost about his direction in life, follows Wolf as he appears to have more worldly experience. Wolf decides to go into a vertical cave to find the path to the real world. Concerned about Wolf, Luke chooses to find him and see if he is ok. Little does Luke know, his friend has drowned and is now in his afterlife. Given that Luke does not have the same skills in exploration he finds that he too has drowned and believes that real life is just a training ground to prepare for what really matters. Avitabile is very animated in his writing and the description of his characters. Many readers will laugh aloud and say, “I know a person like that.” Through this story he presents his thoughts on corruption of the government, and denial of any part in any scheming. A couple of themes really caught my attention. The first is when Luke decides to go along with Wolf’s theory about the universe being inside-out, thinking if he could just find that place he could solve a lot of problems. And since Luke doesn’t have much experience with living life or making decisions, he goes along with Wolf’s ideas. The other area that made me ponder some more was when Wolf described the “afterlife” as being a place where one could do whatever they wanted free of anger and hate, due to the fact that many of the things in life we feel we need are just sensations. Looking through this viewpoint, we realize there is much we can do without. 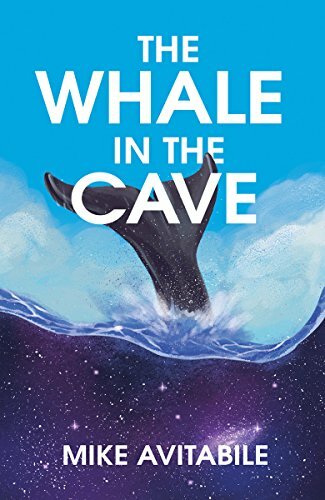 “The Whale in the Cave” by Mike Avitabile is quite thought provoking, and I recommend one takes their time reading the subplots to absorb the full possibilities within the text. I think this type of satirical literary fiction will appeal to many.